The Men are a band that can be many things. They sit at an odd intersection of post-genre eclecticism that one would expect in the digital age and reverence for older traditions. Despite jumping all over the map stylistically, The Men remain dedicated to dividing their albums into clear side A’s and side B’s and record themselves in live takes with analog equipment. Because of this their music retains a raw, noisy aesthetic regardless of what new ground they let their writing wander into. The Men are devoted to volume and the power of distortion, and it gives their work a crunchy texture similar to fried chicken skin. Loudness can be harnessed in a variety of ways, and in the case of New Moon, The Men weld their grit and grime onto a collection of Americana influenced punk tunes. It would be easy for The Men to use their home recording approach as a shield to hid their weaknesses*. Instead they’ve learned to wield it like a hammer. Every instrument on this record sounds like it’s about to explode into a million pieces; even the electric piano on “Bird Song” pops and cracks with each note. New Moon is an album that sounds huge in small spaces, and will take up every inch of your headphones. There is no song on this album that does not benefit from its raw and abrasive production, and in some cases the mix is what saves the song, like on “The Seed”, which would otherwise be an exercise in tedium. Better yet, the good songs become nearly transcendent, like the eerie and dreamlike “I Saw Her Face” which rides a trance-inducing riff for miles before suddenly lurching into a sprint for the last minute. This same transition from slow moving folk rock to blistering punk can be seen on a macro level as well. 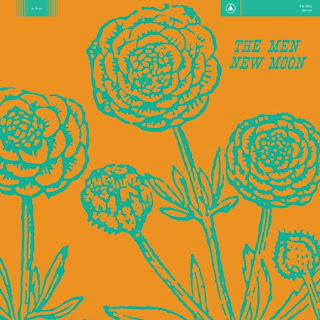 Side A of New Moon is spent entirely on relaxed folk rock and country influenced songs. The band are purportedly huge fans of Tom Petty, which certainly comes across in the frequent use of organ and the charming simplicity of the harmonic progressions. Other songs draw from the sounds of Neil Young and Bob Dylan’s electric period, employing slide guitar, harmonica and melodies with limited ranges meant to highlight the lyrical content. This is where The Men do not hold against the forefathers of this style, as their lyrics are bland and littered with clichés. This problem remains on the album’s second half, but is hidden underneath the crushing wave of energy in their more aggressive selection of songs. Starting with “The Brass” the album cranks up the speed and noise while retaining the underlying structure of the earlier Americana sound. While creating these kind of distinct shifts along the side A/side B divide is somewhat heavy handed, the change does provide a needed shot of adrenaline. This increased momentum all builds towards the closer “Supermoon” which piles on guitar solo after guitar solo over a single repeating riff until the entire song comes crashing down into wasteland of trailing feedback and tape distortion. It’s a powerful effect and it reunites The Men’s newer interests with their more unforgiving past experiments, but as a standalone song, “Supermoon” relies too heavily on a riff that is too simple to remain interesting for 8 minutes, but also too bland to be as catchy or profound as it needs to be. 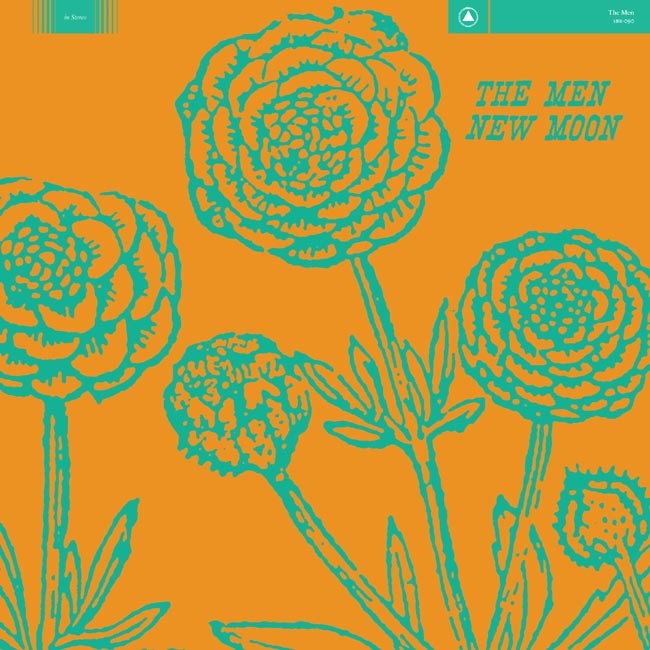 New Moon shows that only four years since their debut release, The Men are willing to flip their own script while retaining a signature aesthetic and recording ideology. Even if this new sound is less viscerally engaging than their previous work, it still remains a bold and uncompromising move.